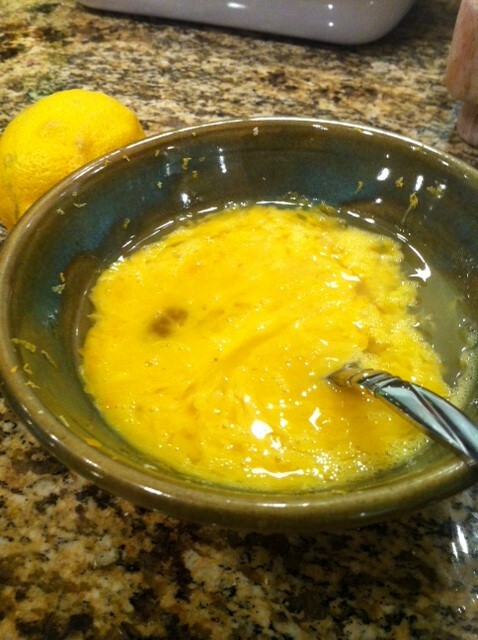 My sister, Maggie, came over a couple nights ago and had a hankering for a sweet and tangy treat! 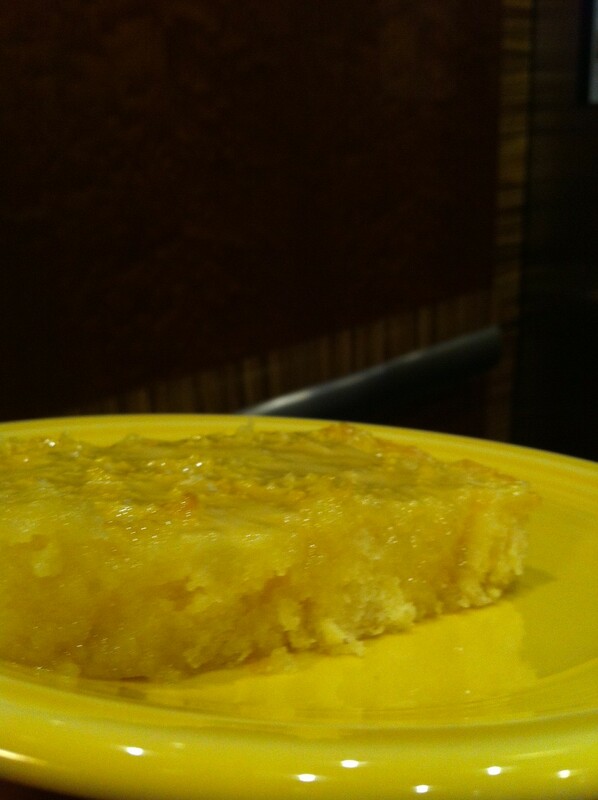 She found this super simple recipe for Lemon Brownies so we decided to give it a try. Zest and juice 2 to 3 lemons! 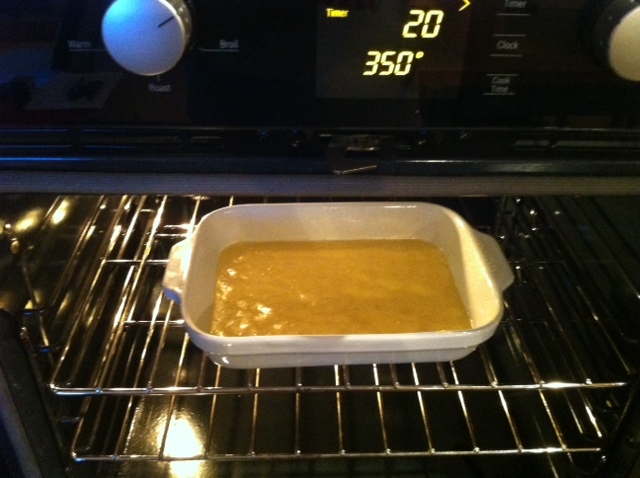 Preheat the oven to 350 degrees and prepare an 8″ x 8” baking dish with baking spray and set aside. Zest and juice two lemons and set them aside too. Mix the softened butter, flour, granulated sugar and pinch of salt in a medium bowl. 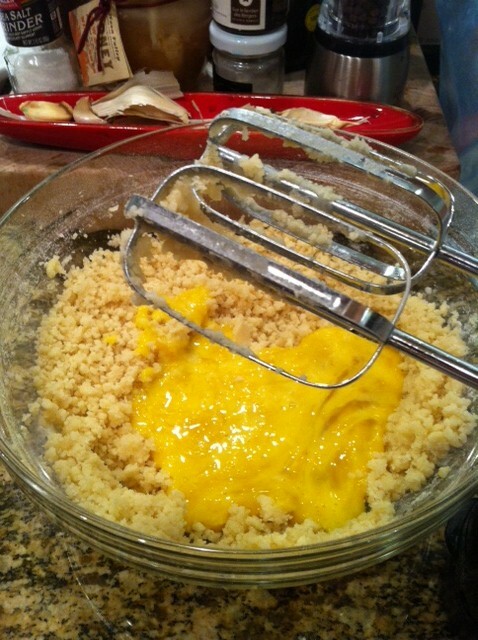 In another bowl, whisk the eggs, lemon zest (2 tbsp) and juice (2 tbsp) and then pour into the flour mixture. Beat until smooth and creamy! 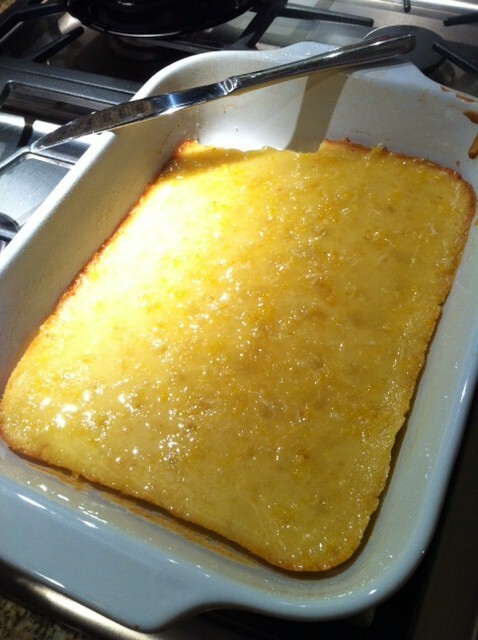 Pour into the baking dish and bake for 23-25 minutes (until the edges are golden…you can also give it the toothpick test). Allow them to cool completely and start making the glaze! 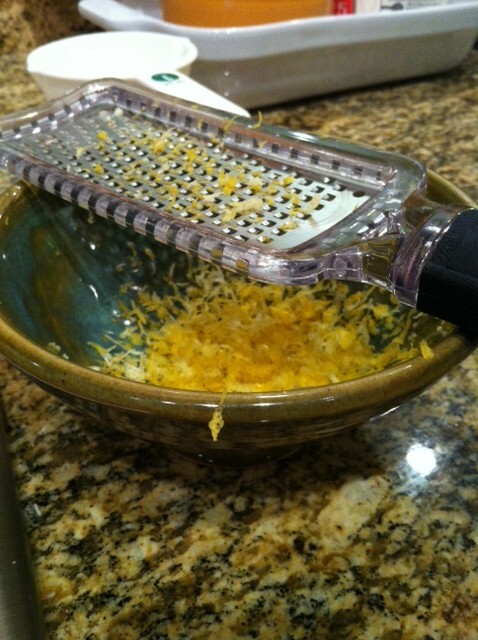 For the glaze…whisk powdered sugar and remaining lemon zest and juice! 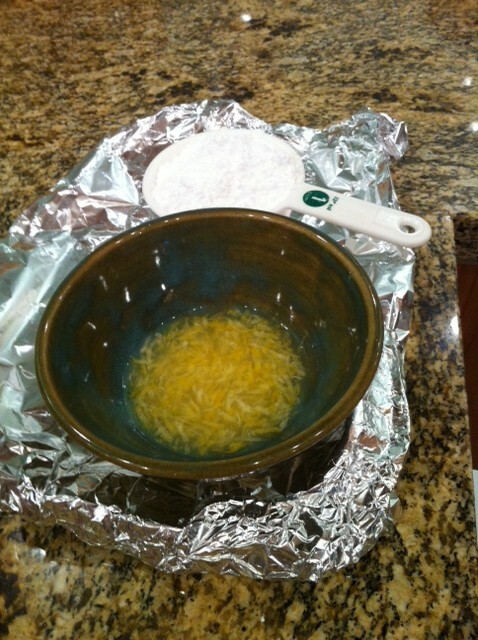 Sift the powdered sugar in a bowl and add the remaining lemon zest and juice. Whisk together and spread half the glaze over the brownies with a spatula. Let the glaze set for a bit and then spread the remaining on top.